The movement towards using green building rating systems is a relatively new phenomenon that has many roots in age-old building concepts. Housing for traditional cultures around the globe typically had a fairly low environmental impact, or in today’s terms, was “green”. This “greenness” of houses was born out of necessity rather than choice. Local materials were used, because that was what was available. Placement and construction of houses were tailored to local environmental conditions that worked with the wind, sun, and topography of the area. Houses were generally small and communities were compact and walk-able due to the lack of cars. 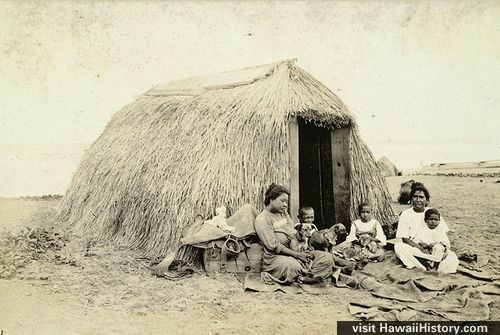 All of these traits that we associate with current green building practices were common place elements in Hawaiian housing until fairly recently. Even through the plantation age in Hawaii, houses could be considered fairly green by today’s standard. Single wall plantation houses used few materials; natural ventilation and raised post-and-pier construction kept them cool. The homes were in tight knit communities built around a central mill where stores, postal services, and recreational activities were all located within walking distance. Few mechanical systems meant small electrical loads and lower fuel use. The shift away from these traditional concepts took place as electricity, technology, and modern conveniences began to enter buildings. No longer did we have to build with trade winds in mind, because we could cool buildings with air conditioning. Cars made it easy to move between communities and development spread to untouched land. Local materials were no longer needed as newer and cheaper building materials could be imported. Irrigation allowed for green lawns and beautiful plants no matter what type of plants were planted. The modern house and office were born and could be built almost anywhere, regardless of climate or local conditions. As technology and modern conveniences permeated our society, the impact of buildings on the environment and on human health also grew. More raw land was developed, more fossil fuels were required to operate and maintain buildings, and new problems like sick building syndrome began to occur as people spent more time inside buildings that had poor indoor air quality. All of these issues were items that helped to trigger the modern movement to green building rating systems. The core concept behind a green building rating system is that it provides the means to help design, construct, and then rate a building that is more environmentally responsible based on a set of defined metrics. Although there are a vast number of rating systems internationally, they generally address the same key areas of building impacts and performance. Those areas are: energy use, water use, material use, carbon emissions, location impacts, site impacts, environmental impact, indoor environmental quality, pollution, building durability, and building operation. CASBEE (Comprehensive Assessment System for Building Environmental Efficiency) developed in Japan, beginning in 2001.
iiSBE (International Initiative for a Sustainable Built Environment), which has the SBTool that provides a framework for local green building programs. iiSBE has been used internationally. Green Globes is a rating system developed under the GBI (Green Building Initiative) and is most widely used in Canada and the US. LEED (Leadership in Energy and Environmental Design) was created by the US Green Building Council (USGBC) and is the most commonly used green building rating system in the United States and has increasing international exposure. The U.S. Government and a variety of states are requiring LEED certification for government buildings. In Hawaii, all state owned or funded buildings over 5000 square feet, and K-12 schools, are required to meet LEED Silver or equivalent. A large number of US government agencies, including most branches of the military, are requiring LEED Silver certification. LEED is a points-based system that has a series of prerequisites and credits that cover key target areas of a building’s performance. There are a number of different LEED rating systems that cover different types of buildings. The rating systems cover homes, neighborhoods, commercial buildings (new construction), and existing commercial buildings operations and maintenance. The requirements of the rating systems are outlined in a series of reference guides. An example of the rating systems and reference guides is outlined below. Sustainable Living Book, Green Building Section, Matthew Goyke & John Bendon.